span between the pedals is 11 1/4 inches. 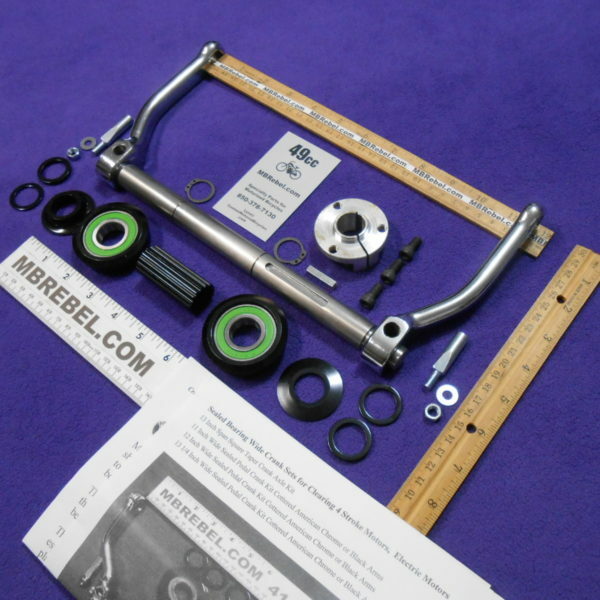 This axle is raw unfinished 1018 steel, machined in U.S.A. paint it or clear coat to prevent rusting. 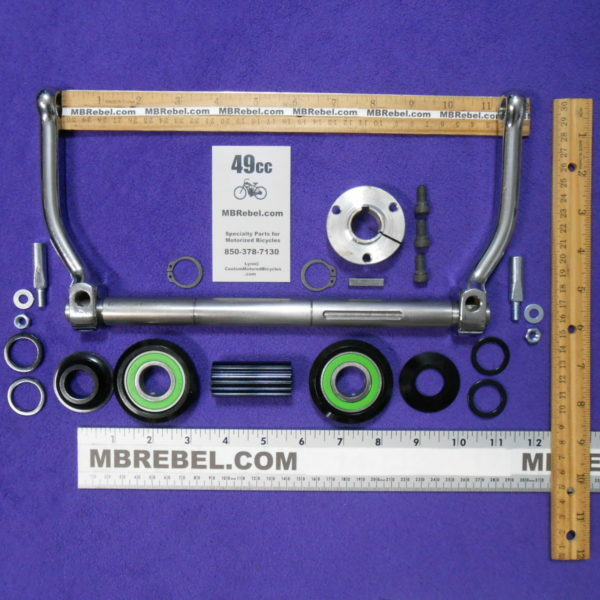 Includes 5 1/2 inch COTTERED OFFSET CRANK ARMS Includes 2 cotter pins, and 2 snap rings. Takes 9/16th Axle Pedals not included. 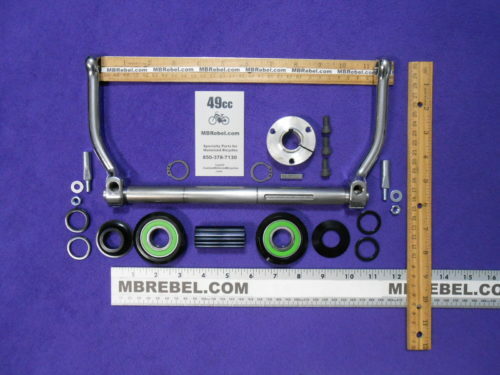 American Sealed Bottom Bracket Set, 2 inch bearing cups fit into one piece frame bottom bracket. 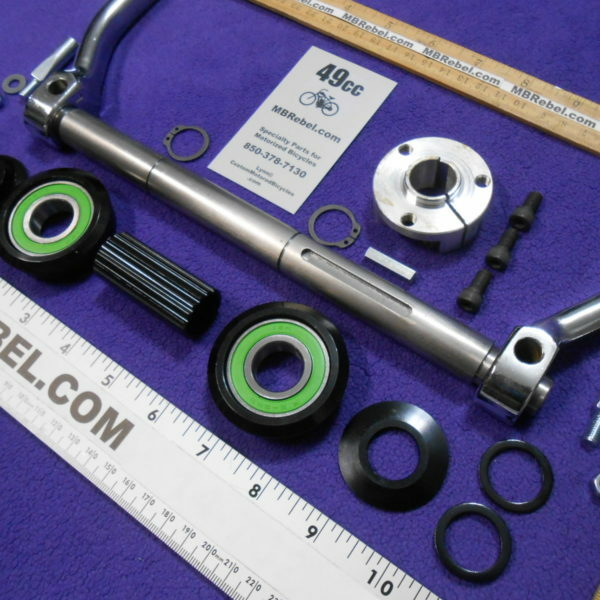 slots to use spacers or change the right to left alignment of the axle. 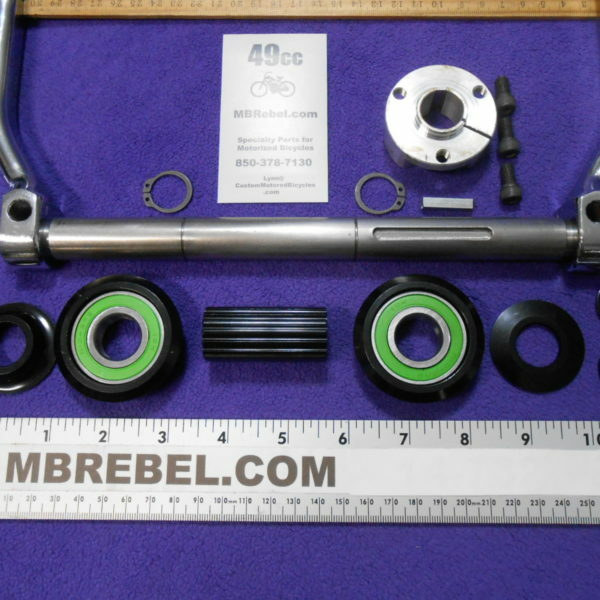 The bearings fit very snuggly on the 3/4 diameter axle! 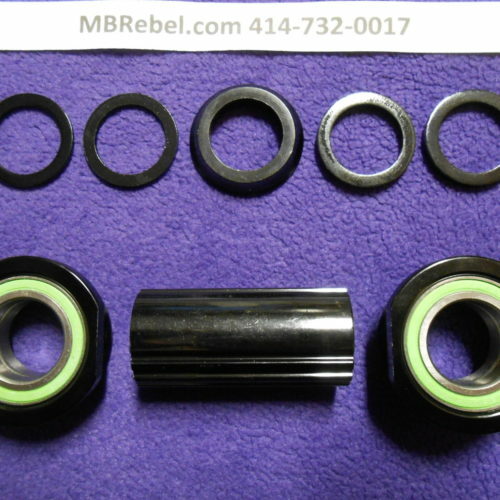 So snuggly that the bearings could ride over the existing snap ring slots or keyway slot. the frame inside bearing area may need to be cleaned and any weld slag removed. 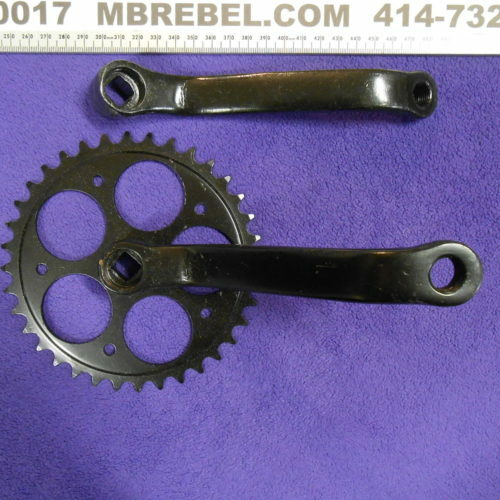 1 piece pedal crank sprocket. 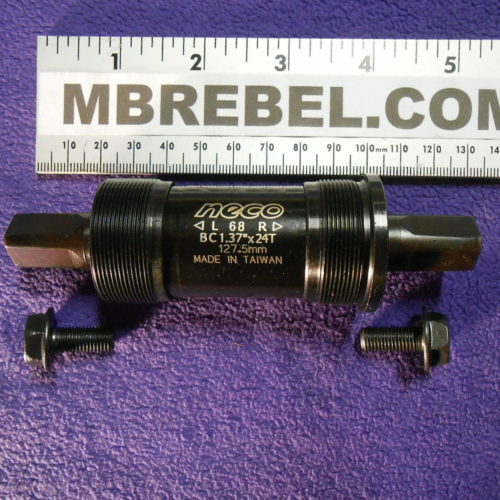 You just need to drill 3 holes in your sprocket. Or order the complete set with the drilled 25 tooth sprocket included. Includes 4 Allen head bolts and keystock.